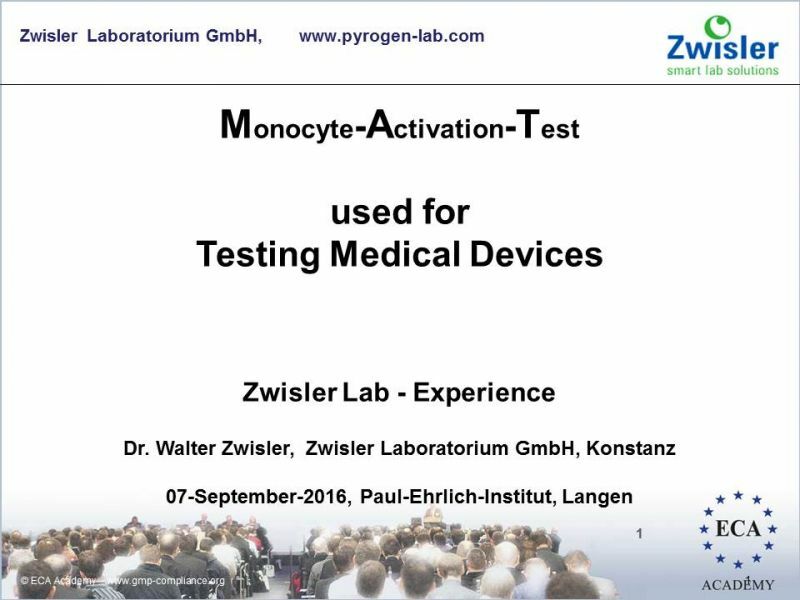 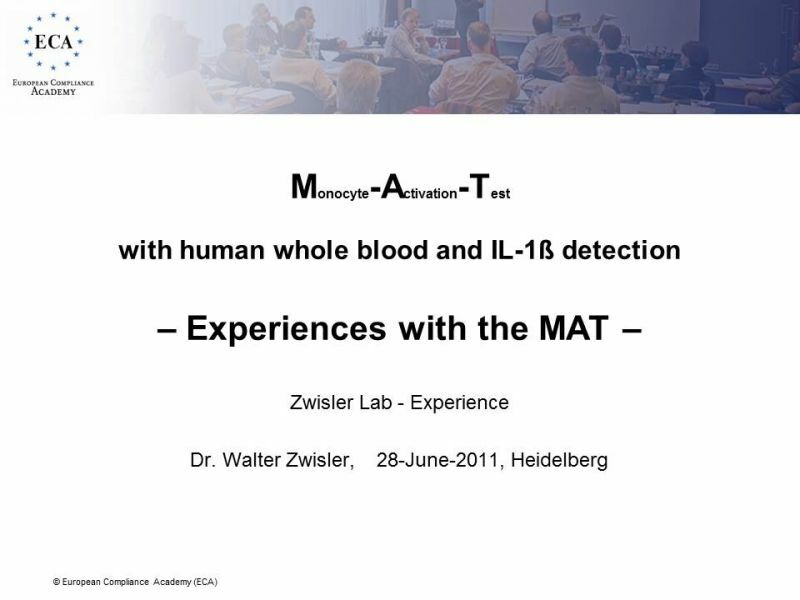 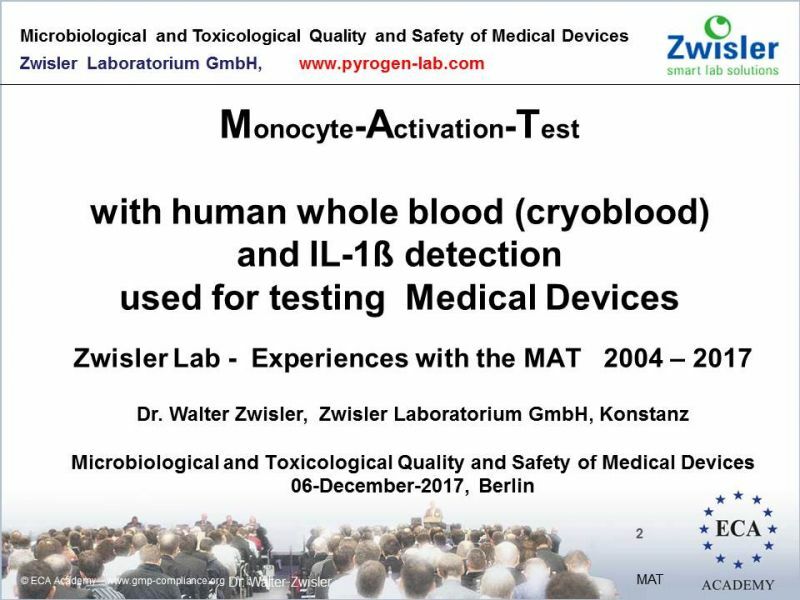 The Zwisler Lab is involved in the MATest since 2003 with the experiance of several thousend tested samples (Medical Devices and Pharmaceuticals). 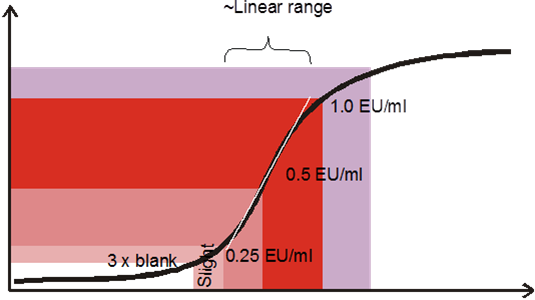 Since 2010 the MAT (Monocyte-Activation Test) is an official test of the European Pharmacopoeia (EP Chapter 2.6.30). 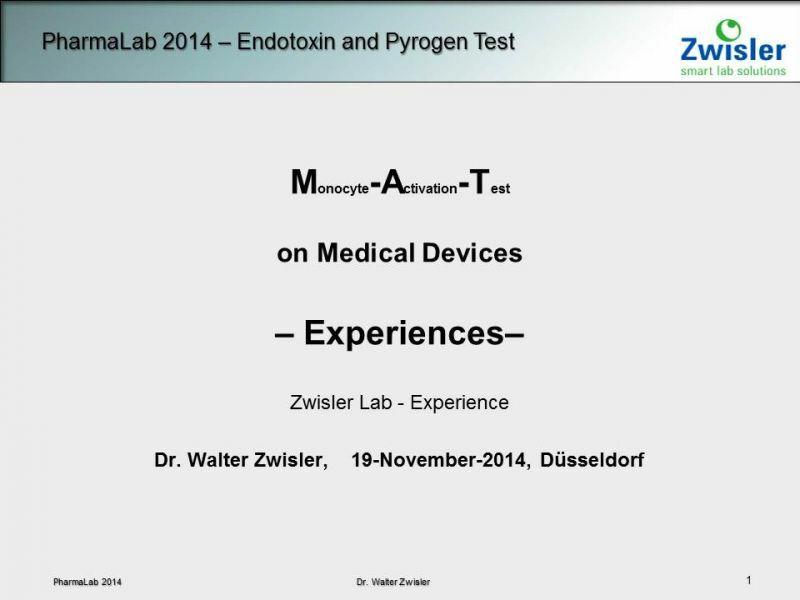 Parenteralia, medical devices, and biologically produced substances obtained from bacteria and other microorganisms may cause release of endogenous pyrogens (e.g., IL-1ß) if contaminated with exogenous pyrogens. 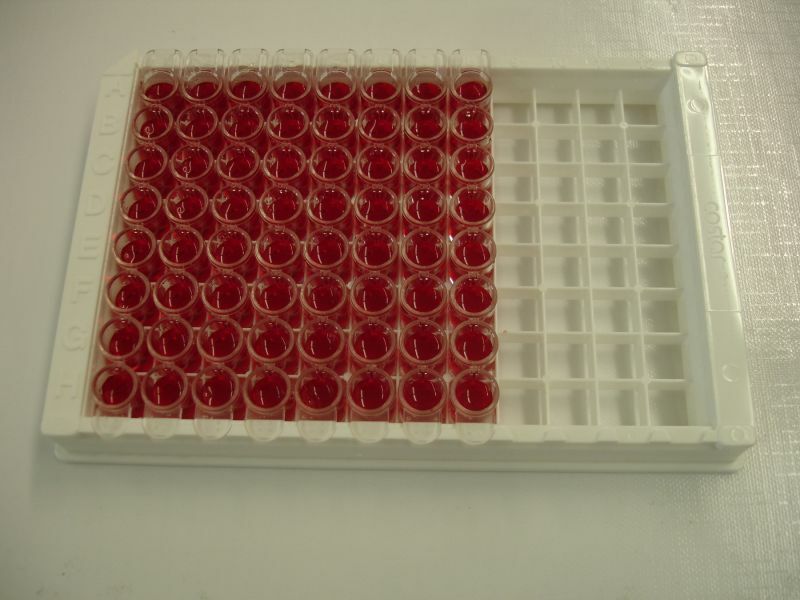 This pyrogenic contamination can be detected by the whole blood pyrogen test (In-vitro Pyrogen Test, IPT or MAT), which is a two-part assay. 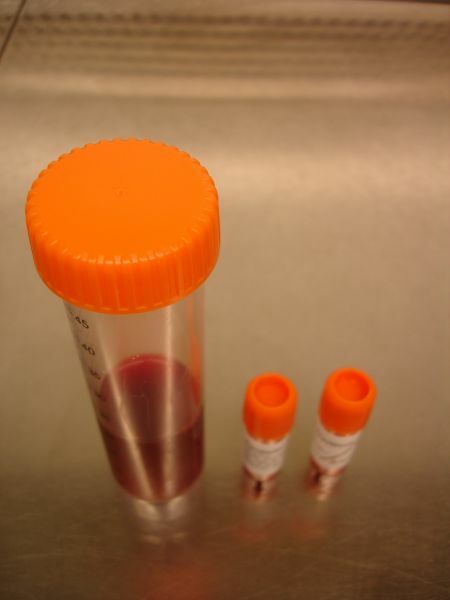 It involves incubation of the sample with human blood, followed by an enzyme immunoassay for the measurement of e.g. 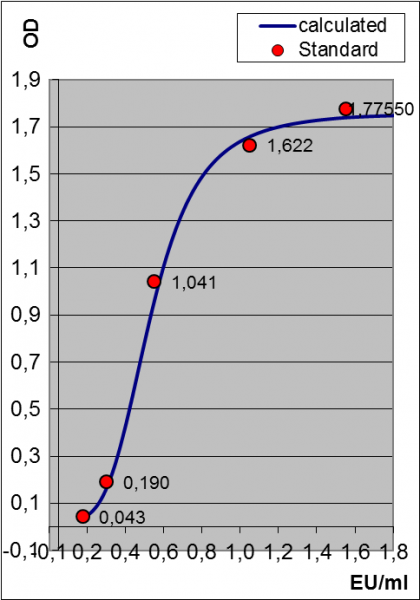 IL-1ß.